Hello everyone! Thought I have to post the video blogs of my solo trip in Thailand for two weeks. 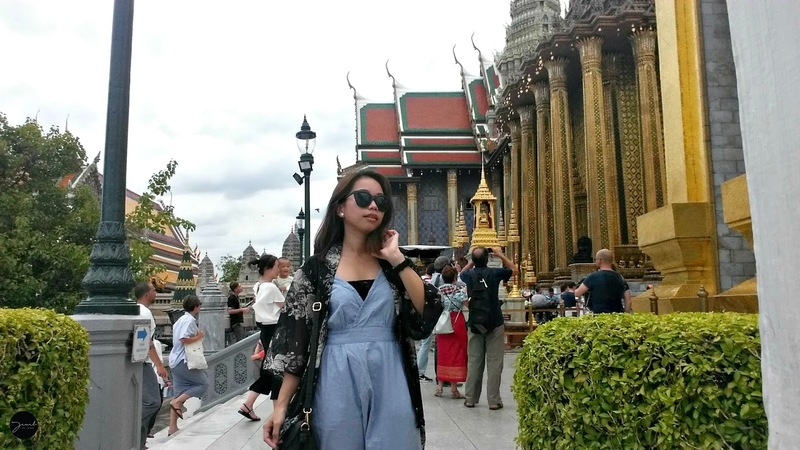 I consider Bangkok a place where I could live in Asia because of their strong culture, delicious food, city nightlife, work opportunities and of course nature tripping and beaches! Been there for more than the usual three days and two nights, I was there to live like a local. I worked as a freelancer so I had no issues with me traveling that long to experience how it's like to live in their country. Though I've been to Singapore for a month for work, I was stressed and felt the pressure most of the time because of work and budgeting my own expenses in the expensive city. Hmm... but Singapore is one of the beautiful and organized countries in Asia to go to or escape from Manila. Grabe yung side story, so here you go, hope you will enjoy the video blogs and if you have any questions for my trip, let me know! You can follow me on Instagram: @jewelclicks or leave a comment down below. PS: Don't forget to subscribe to my channel: www.youtube.com/jewelclicks please! I hugged the elephants! Because I do not support riding activity. Khao San Road trip with Em-Em I was victimized by an ice cream man!